Ollie Barder is the Editor-in-Chief of Mecha Damashii. 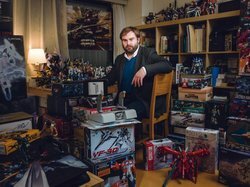 Ollie has written mecha related articles for Forbes, and held extensive interviews with many of the pillars of the mecha genre! He has also done game design for many of your favorite games over the years.